I haven't been postingin a while. I have been busy knitting beanies for soldiers. I am doin Socks for Soldiers, but they sent me yarn to do beanies, so I have been knitting madly and have made about one a day. 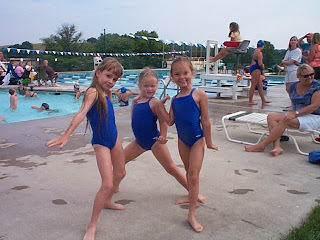 Here are pictures of my littlest girls at their second swim meet. 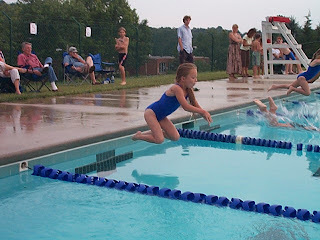 Little kids swimming is just sooo cute!